Scientists have predicted a rise in the spread of insect-related illnesses across the UK, Canada and Europe, saying that rising temperatures can lure in higher numbers of disease-carrying bugs. 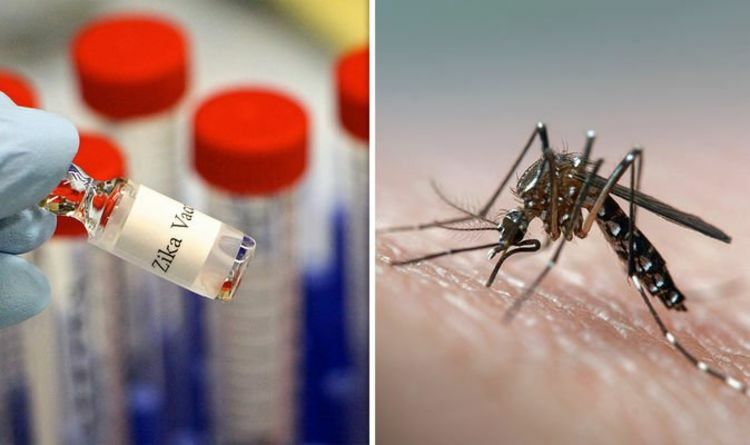 An estimated billion more people could be exposed to life-threatening illnesses like Zika and dengue fever, researchers say - which could become normal by 2080. A vicious virus outbreak could occur in the UK - because tropical diseases have never reached colder Western climates - meaning, people have not build up immunity against them. Scientists said the insects could cause one of the "biggest threats to global security", urging authorities to take action against global warming. The study looked at the predicted global temperatures by 2080, comparing it with disease-carrying bugs' current trends and patterns. Using two models, scientists predicted global temperatures will rise from 2.6 degrees to 8.5 degrees by 2100 - and the higher the rise in temperatures, the bigger the problem. Study author Sadie Ryan, from the University of Florida, said the viruses can cause "a loss of productivity at work”. She added: "Essentially, they will lead to economic decline in areas where they take off." Scientists predicted the arrival of two disease-carrying mosquitoes - the Aedes aegypti and Aedes albopictus. The mosquitoes carry the viruses can carry viruses including dengue, chikungunya and Zika - which can be fatal. Another author of the study, Colin Carlson from Georgetown University said: "The first line of defense for these diseases has never been vaccination. He added: "If the climate doesn't change, that limits a good amount of where these mosquitoes can go." The study gives researchers the ability to see how rising temperatures can affect the spread of diseases, and how many people could be at risk in the near future. Ms Ryan added: "What this essentially gives us is the capacity to say where can we expect these things to show up, establish, invade and perhaps where outbreaks may occur. "It kind of gives us a nice management tool to say, 'Here´s where we are going to see those increases in potential risk, so let's start doing some surveillance there, let's think about managing things there'."